Daniel Fay has over 20 years’ experience working with advanced and cutting edge computing technologies. He is currently the Senior Director of Strategic Engagements for Microsoft Research, and uses his broad insight in software and hardware to define and lead engagement strategies for new and emerging technologies. In continually being at the convergence of new technologies, Dan has gained knowledge, expertise, and insight across a wide variety of technologies and domains. This has included leading multidisciplinary teams to collaborate on addressing scientific challenges as well as developing new programs (ie. Azure for Research) to bring Cloud Computing to Academic Researchers. Dan has project experience working with Internet of Things, Cloud Computing, High Performance Computing, Grid Computing, collaboration and visualization tools in scientific research. 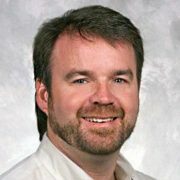 Before joining Microsoft in 1992, Dan was a senior software engineer with Digital Equipment Corporation working on OSF/1 and embedded network devices. Dan is a graduate of Northeastern University in Electrical and Computer Engineering.